Being a graphic designer poses challenges one would never expect beforehand. The areas of expertise you need to acquire expand with each passing day and if you can’t keep up with that pace, you simply fall out. Professionals spring up like mushrooms daily and competition requires extraordinary efforts to remain on the market. Creative industries have always had an invisible engine that motivates people to go above and beyond in their attempt to attract the forever-longed attention of the audience. In this day and age, this is only possible through an outstanding digital presence and a unique approach to self-presentation online. 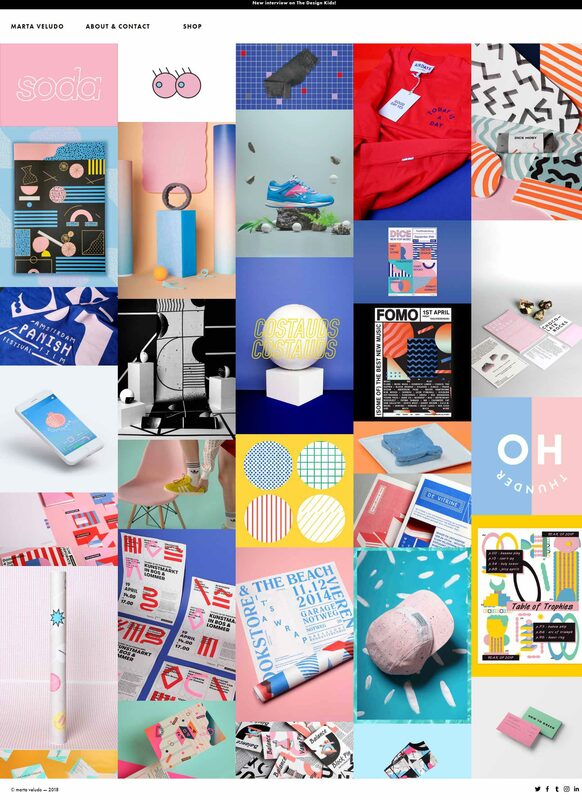 We’ve collected the best graphic design online portfolio examples out there that will inspire you to go out and create something out of this world. Creating your very own portfolio website can be a turning point in your career. Learn about our free web hosting plans and start creating right away! Sed Estudio is a Peruvian design agency specializing in branding, art directing, and graphic design. They share that studying the relationships between humans and humans accounts for their largest inspiration and insight into the world of design. With a sharp modern look, the website incorporates some of the top design trends of the decade including exaggerated imagery size, full-screen menu, and simple mobile navigation. 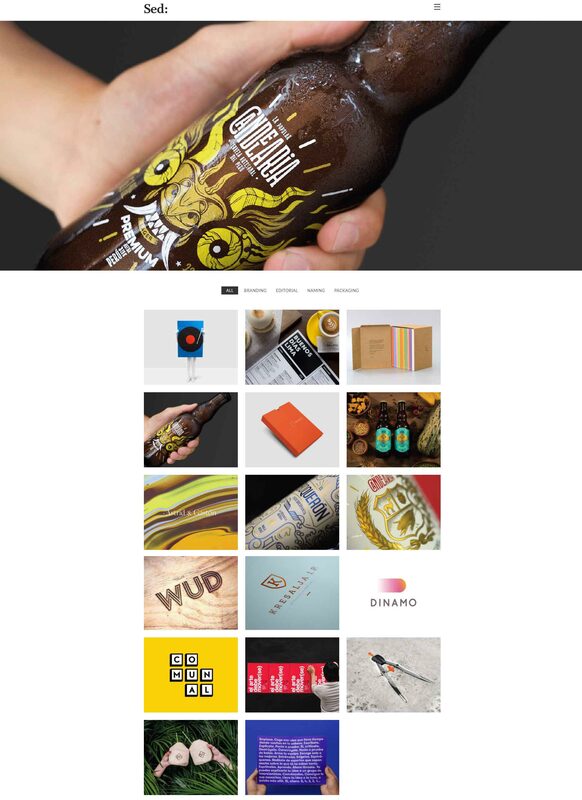 The portfolio is divided into four main categories: branding, editorial, naming, and packaging. 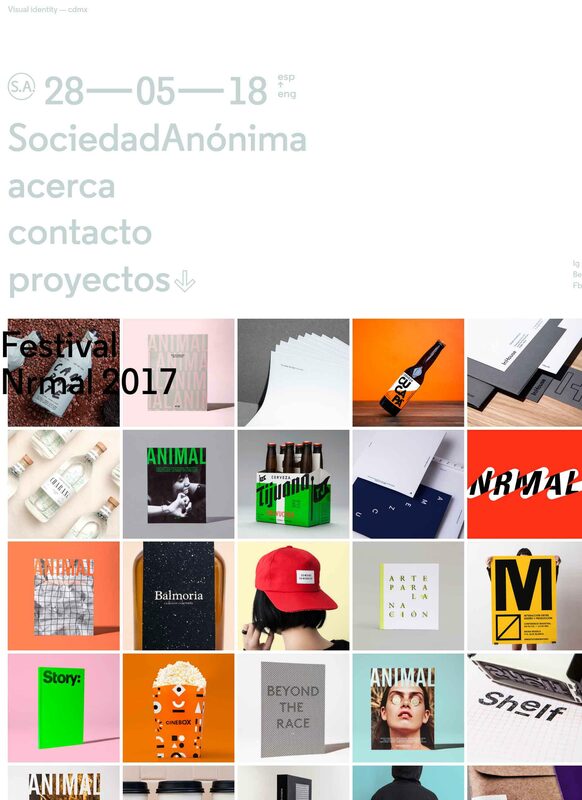 Sociedad Anonima is a Mexico City-based graphic design studio. Their main areas of expertise including branding, corporate identity, editorial and creative communication services. Their small but incredibly prolific team has managed to grab global attention thanks to their fresh and creative approach to design. Here, once again we see the brand betting on unexpectedly large fonts and a grid design. While a drop-down menu reveals a list of their projects, the rest of the design is clean and monotonous. 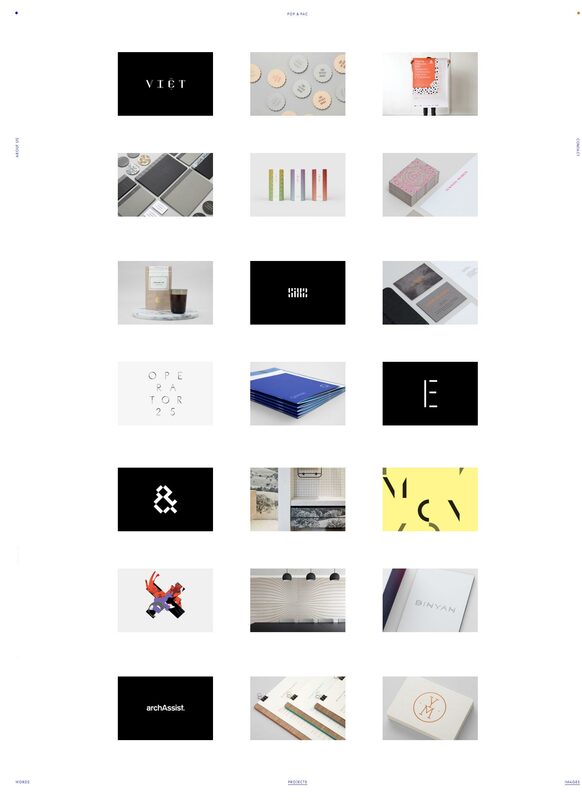 Images are presented in square boxes which is among the widest-spread trends in portfolios thanks to its Instagram-esque look. Create a beautiful portfolio website! For as low as $1.99$2.391.99€2.39€ /year! 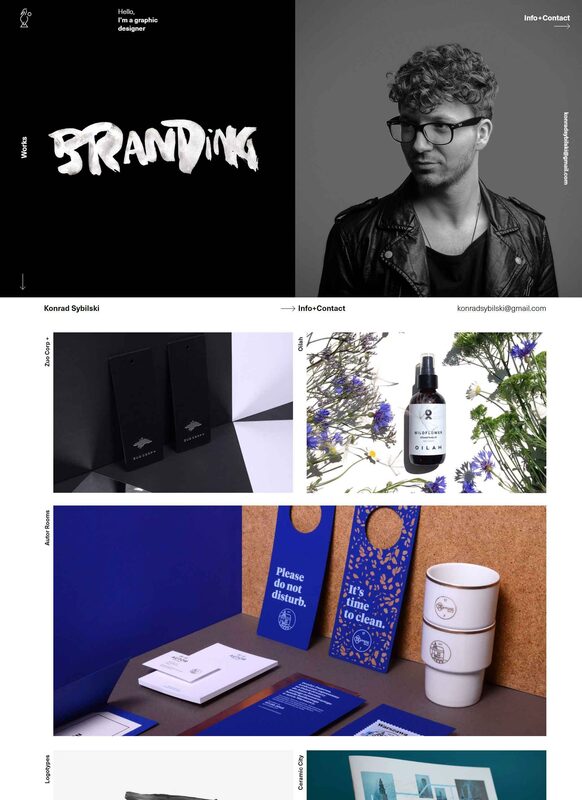 Konrad Sybilski is a Polish graphic designer specializing in designing for startups, new brands, and refreshing existing ones. Google, UNICEF, and Finlandia are just a few of the brands which his impressive portfolio consists. His creative website takes advantage of the motion-revolution in web development and includes stunning animated imagery. Beside this visionary touch, the website also incorporates modern color-schemes and clear messages. Pop & Pac is an Australian graphic design studio that is just as fun as the name suggests. Their specialties are identity creation, print communications, branding, web design, and art direction. The website’s non-standard decision of placing the menu around the content in a box opens the space for a more breathing design. Even though no specific categorization of the work is available, the structural approach allows the audience to have a clear understanding of their work and expertise. Marta Veludo is a graphic designer based in Amsterdam whose work is mainly inspired by pop culture and folk art. 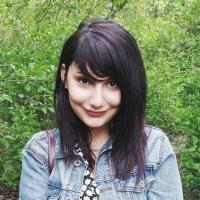 The main areas of her work are art direction, graphic design, brand communication, and illustration. Her website’s reminiscence to Tumblr isn’t a coincidence, but rather a deliberate effect. The infinite scroll and the masonry gallery allow users to dive into the contemporary design waters with a pinch of millennial pink and a grid overlay. You don’t need any extraordinary technical skills to make an online portfolio. All that is required is a dose of courage to start creating a little bit of inspiration. To create your own beautiful website for your portfolio, we have prepared outstanding web hosting plans suiting your needs. Cost-efficient and high-performing, your hosting can turn your web journey into a walk in the park on a warm Sunday afternoon. Everything You Need to Know for an ‘About us’ Page!